Blog Post prepared by Archivist David Murray. The U.S.S.Co is noted for the care of and Courtesy extended to its Passengers. These pleasing qualities I am able to amplify from personal experience on many occasions, BUT, “The best laid schemes of mice and men gang aft agley”. 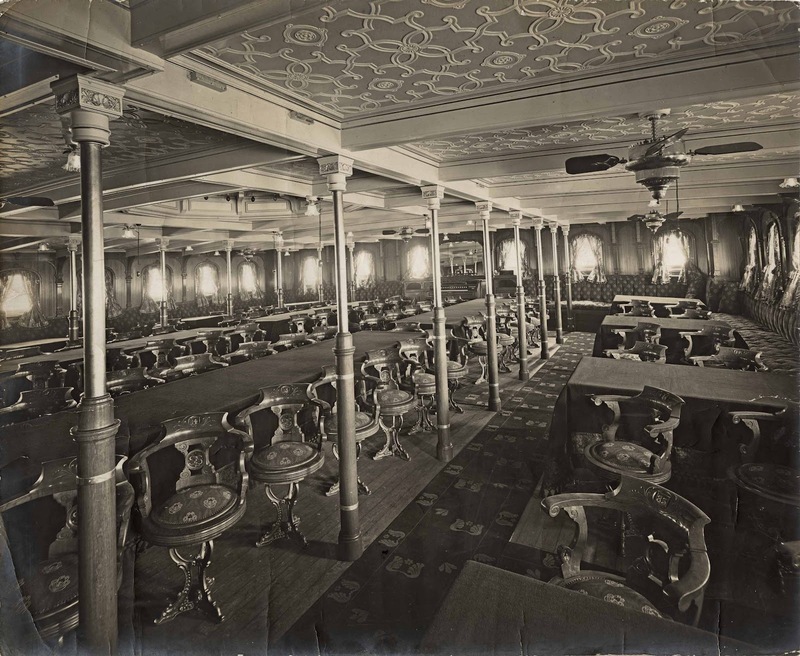 On the night of the 13th inst I boarded the S.S. ‘Maori’ en route to Lyttelton, “clothed and in my right mind”. I retired (as sole occupant) to Cabin 34, and in due course sought oblivion in sleep, previously having disrobed, even boots and all!!! which boots, as events proved, I had better have kept on. When the time arrived to dress on the morning of the 14th, only one boot belonging to yours truly could be found on the ship. Not having a wooden leg, this was inconvenient and necessitated my leaving the boat in slippers. Now I have never desired to form one of a party to explore Arctic of Antarctic regions, but whilst crossing the white-frosted wharf at Lyttelton to board the train, I felt as though I were going through an involuntary course of drill or training for such a project. This idea was intensified during the cold railway journey to Dunedin. I have all my life believed that many Biblical quotations can be aptly applied to incidents in our every day life, I am now more than ever confirmed in this belief – St Matthew 24ch[apter] 40V[erse] “The one shall be taken and the other left”. The letter was meticulously filed, but disappointingly there’s no sign of a reply from the company. 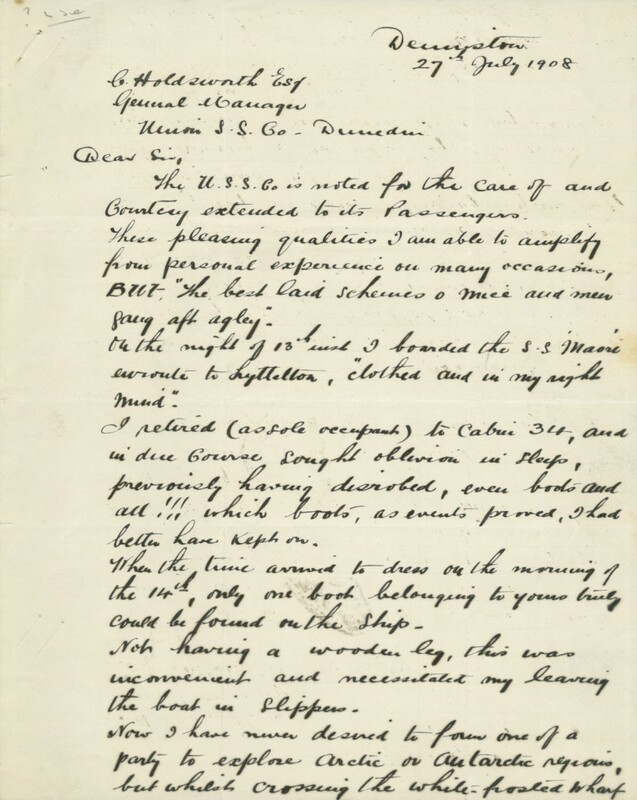 Dixon’s letter was addressed to General Manager Charles Holdsworth, who was on an overseas trip at the time. A newspaper notice in the Evening Post confirms that a Mr Dixon travelled from Wellington on board the Maori. 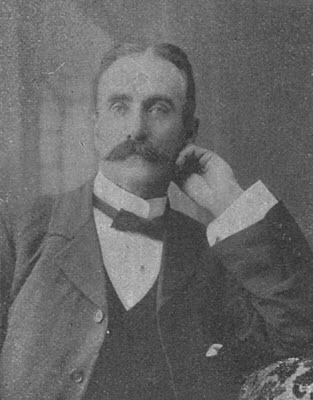 The writer was apparently Jonathan Dixon (1853-1911), manager of the Denniston Mine on the West Coast. He had an adult son who was also named Jonathan, and it’s possible he was the author, but the handwriting is a good match (though not conclusively) for the signature on Jonathan senior’s will. According to the Cyclopedia of New Zealand, Jonathan Dixon was born in Durham, England, and educated in Sydney. He was a mine manager in New South Wales and was involved with the restoration of the mine at Stockton following a disaster in 1896. He took similar roles at Dudley, Greta, East Greta, and Burwood. He arrived in New Zealand in 1899 to manage the Millerton Mines (Granity) for the Westport Coal Company. After about two years as mines inspector in New South Wales, he returned to the West Coast to take up his position at the Denniston Mine, again for the Westport Coal Company. Dixon, who was married and had seven children, was described as a man who had ‘literary attainments and a taste for poetical composition’. An obituary stated that he was ‘a well-read, brainy man, with a decided literary bent, and would have made his mark in journalism had he abandoned mining’. He was also a strong supporter of educational movements and a staunch advocate of temperance. He died in August 1911 at the age of 58, following an operation for appendicitis. 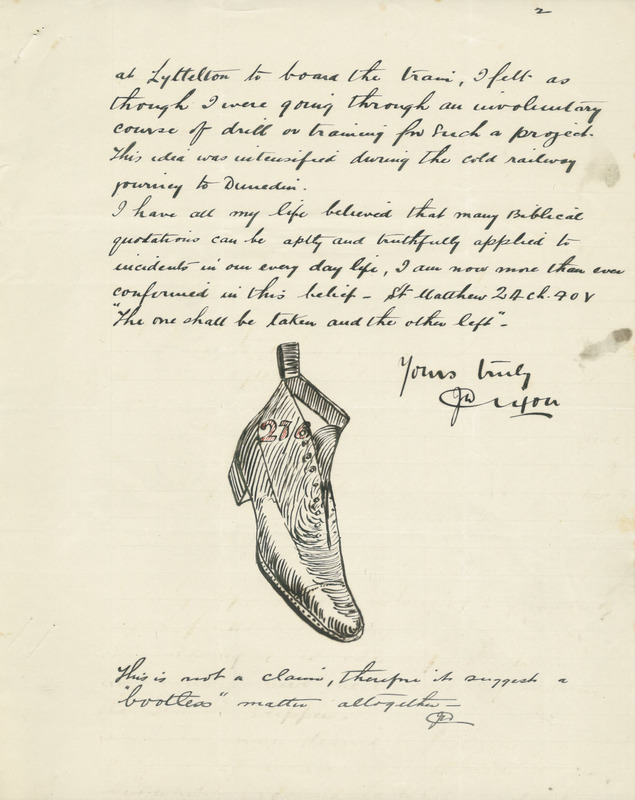 His illustrated story of the lost boot survives as an example of his wit, and one of the cuter curiosities of the Hocken Collections. Thanks to the Papers Past and Trove newspaper databases, and to Archives New Zealand Christchurch Regional Office for providing access to Dixon’s will and probate file. Hocken Album 512 has seen a busy time these past few weeks with University of Otago Art History students opting to study it for an assignment and images copied for an exhibition at Fraser Island in Australia to commemorate the part the hospital ship ‘Maheno’ and its crew played in World War One. The album first became available to the public in 2001 when it was purchased for the Hocken Photographs Collection at a local auction. 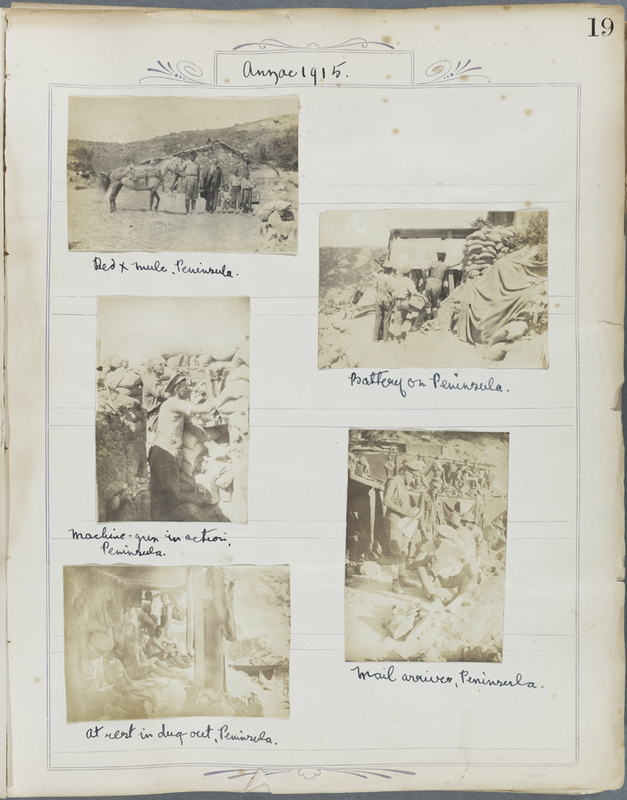 Some years later, Sandy Callister featured whole pages from it in her book The Face of War: New Zealand Great War Photography, Auckland University Press, 2008, partly singling it out from the many war albums dominated by images from the Gallipoli Campaign because of the excellent quality of the images. 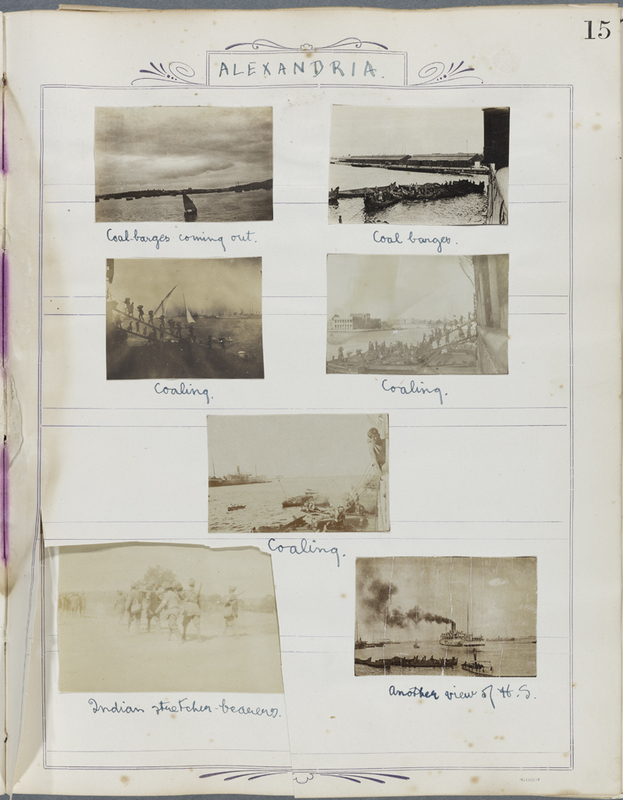 Callister also found the content and arrangement of the photographs revealing in her quest to uncover the public understanding of the sacrificial cost of the war. 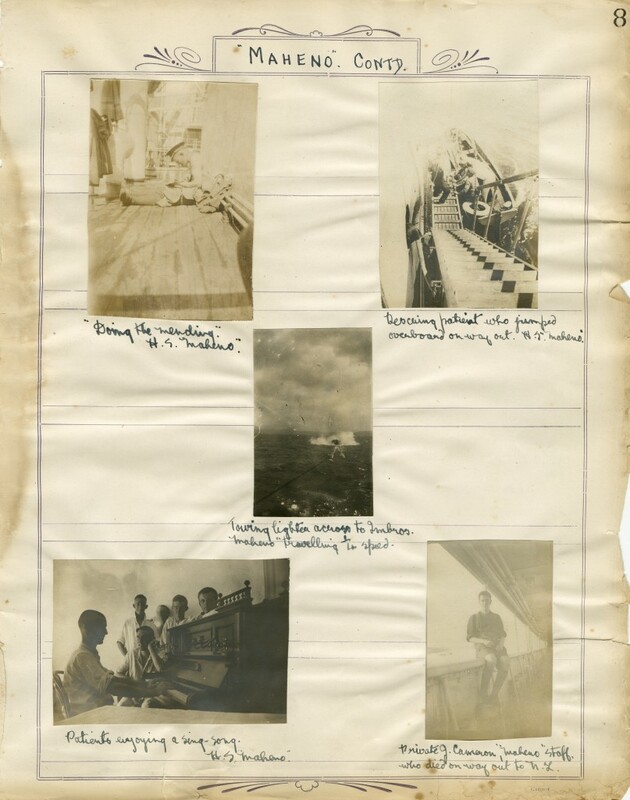 The four different pages shown below include rare snapshots of life on board the HS Maheno, glimpses of people from other countries who toiled to provide coal for the mighty, steam-powered ship as it traveled to the other side of the world, and images of soldiers at ANZAC Cove. During operations lasting several days, he displayed conspicuous gallantry and devotion to duty. On one occasion he was blown up by a shell and badly shaken, but he declined to retire, and carried on with his men. When all the officers had become casualties, he took command of the company, and it was largely owing to his fine and resolute leadership that the objective was quickly reached. He set a splendid example to his men. Pattrick was awarded the Military Cross in August 1918 for the acts described above, and was finally discharged from service on 25 November 1919. Album 512 is available to patrons upstairs in the Pictorial Collections Reading Room under the accession number P2001-009/2. This wonderful image is a photograph of the ship Maheno, which served at Gallipoli as well as elsewhere in the Mediterranean during the First World War. 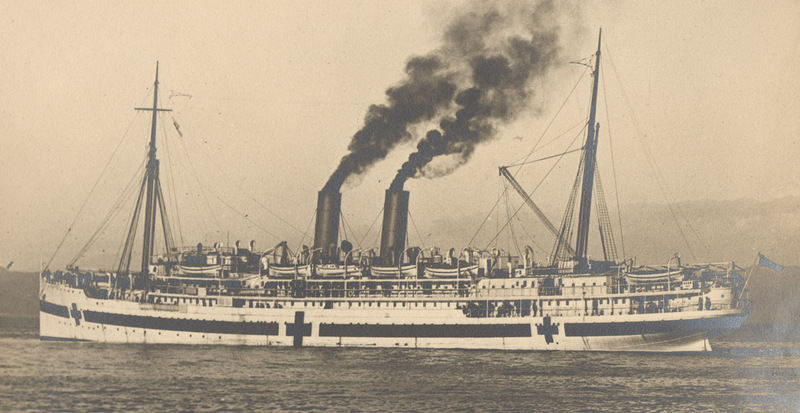 Along with sister hospital ship Marama, it transported over 47,000 wounded soldiers to safety. 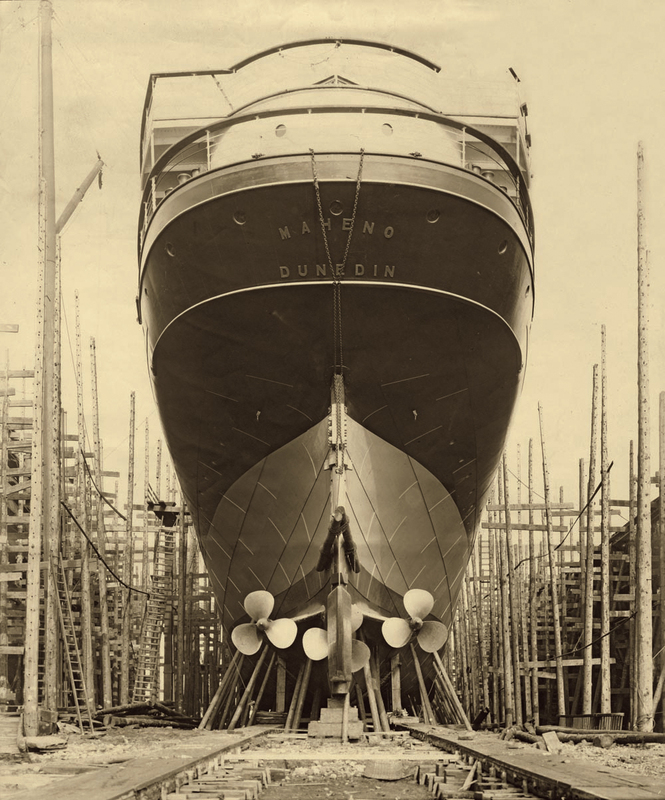 For the winter months of 2012 the Hocken Library is using this image to promote the current exhibition – Ship Shape – an exhibition based on the idea of “portraits” of ships. Maheno was built by William Denny and Brothers at Dumbarton, Scotland but Dunedin was its home. Joining the Union Steam Ship Company’s fleet in 1905, the Maheno was the first turbine-powered ship to work the Trans-Tasman route. 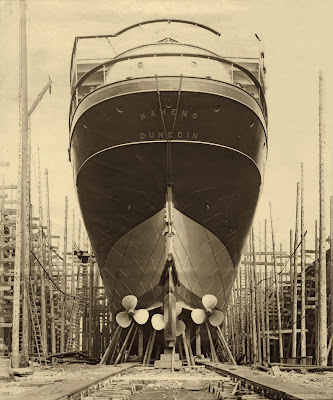 The vessel had a strong link with the University of Otago as well since the Ministry of Defence offered the institution surplus money from the Hospital Ships’ Fund to build a hall for the military training of medical students in 1919. Maheno and Marama Hall (as it was originally called) was completed in 1923 and is now occupied by the Department of Music. A roll of honour in the foyer lists medical staff who served on the ships. 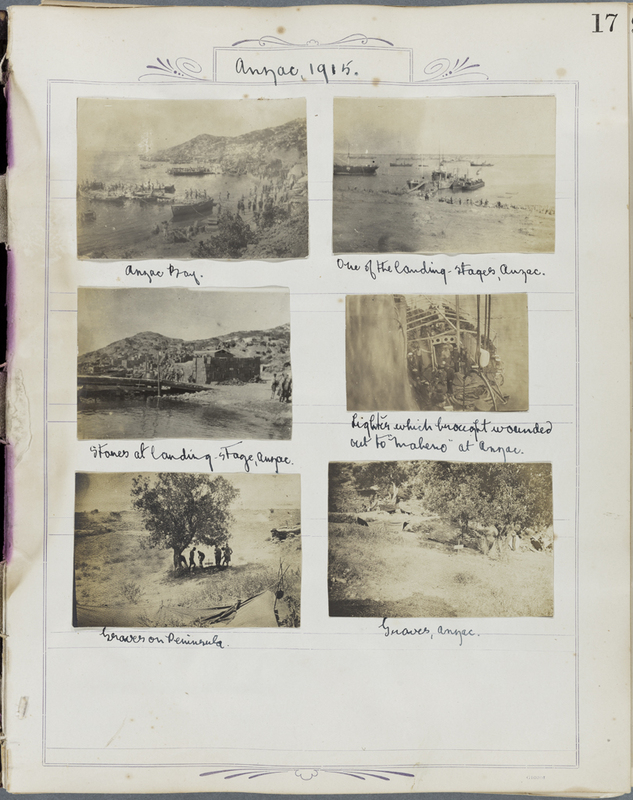 Blog post prepared by Assistant Curator of Photographs, Anna Petersen, with David Murray, Acting Arrangement and Description Archivist. 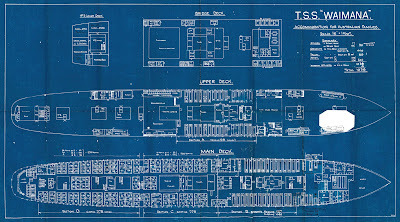 Among the treasures in a box of odd bits and pieces discovered during one of the Hocken’s building manoeuvres is this 1919 blueprint of the TSS Waimana, showing “accommodation for Australian families”. We don’t know the provenance of this plan, but a little research on the wonderful Papers Past website revealed its link to an event labelled by newspapers “the Waimana scandal”. 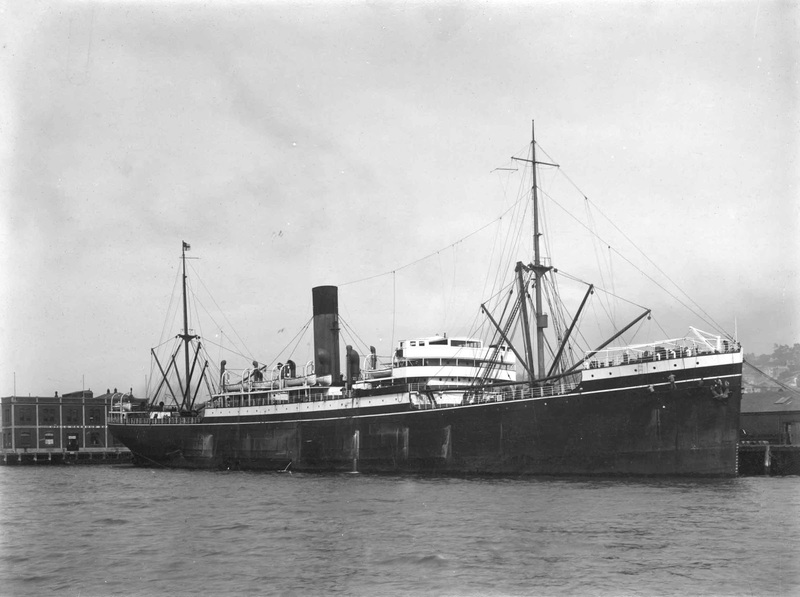 The Waimana, a twin-screw ship, was built in Belfast in 1911 for Shaw, Savill and Albion, to carry immigrants and cargo on the New Zealand run. In 1914 the Waimana took on a new role as troopship, for which she was “altered out of recognition”. She was one of the largest of the steamers that departed New Zealand in October 1914 with the main body of New Zealand Expeditionary Force troops. After a rapid conversion, the Waimana could carry around 1500 men, 62 officers and 500 horses. Through the war, the ship returned to its more usual duties, transporting cargo to and from Britain, but in 1919 troopships were again needed. 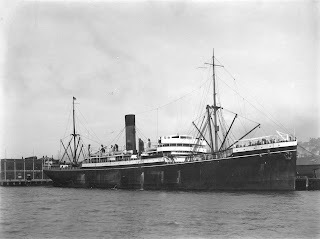 In June 1919 the Waimana arrived in Auckland with 1675 returning soldiers, whose “behaviour during the voyage was excellent”. Troopships were not renowned for their comfort, but soldiers generally tolerated some degree of privation without too much complaint. When it came to their wives and children, though, they had higher expectations. 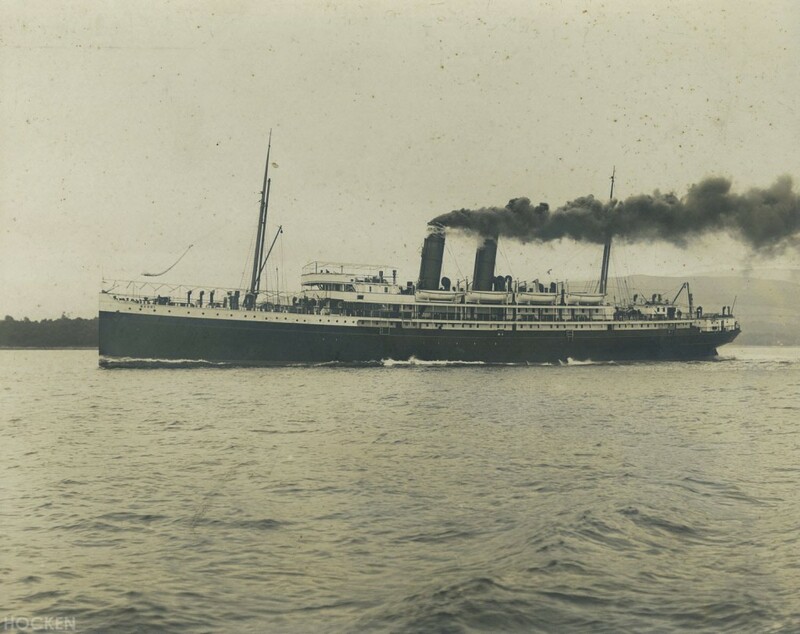 In October 1919 the Waimana was fitted out, as per our blueprint, to carry a group of 500 or so returning Australian servicemen from London, together with 400 women and 100 children under three. As soon as the passengers arrived, complaints began about overcrowding and inadequate facilities and supplies. 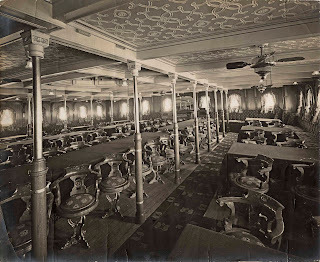 The final straw for some may have come when one of the many babies aboard had its toe bitten by one of the ship’s large complement of rats. The military hierarchy agreed that the complaints were justified and the passengers disembarked while better transport was sorted out. 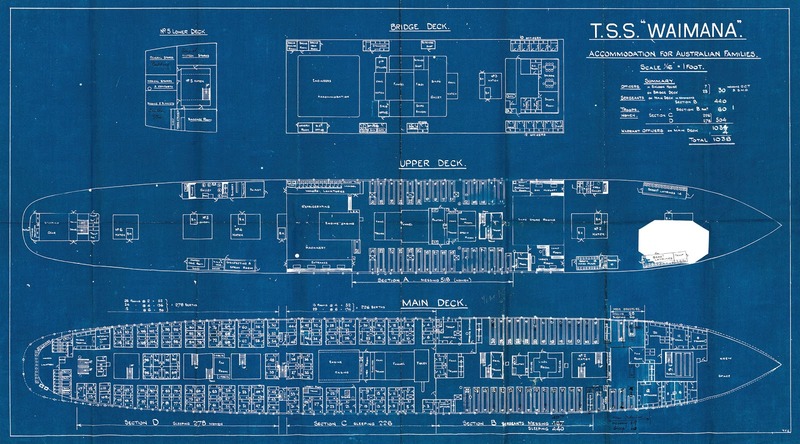 The origins of the blueprint remain a mystery – perhaps somebody kept it as an example of how not to fit out a steamer for families on long haul voyages.